The United States Army has been quietly discharging a number of immigrant recruits, according to recent reports by the Associated Press and the NewsHour's own reporting. Yamiche Alcindor shares the story of another group of young immigrant recruits in limbo. We turn back now to immigration and the issue of undocumented immigrants serving in the U.S. military. 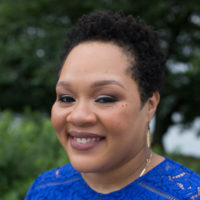 For that, I'm joined by our White House correspondent, Yamiche Alcindor. So, Yamiche, we learned late Thursday about a decision by the U.S. military to discharge some of their recruits. Tell us about that. Well, what we know is that the United States Army has been secretly discharging or quietly discharging a number of immigrant recruits, according to recent reports by the Associated Press, and our own reporting here at "NewsHour." The Associated Press is reporting that these are immigrants who joined the Army Reserves or the Army and were told that they could have a path toward citizenship if they were enlisted. They did that, but now they are being told that they have to go. The AP is reporting that there are about 40 people who are impacted by this. An immigration attorney that we talked here to at "NewsHour" said that she heard from dozens of people who are impacted by this. These immigrants are being told either nothing about why this is happening or they're being told that they are security risks because they have family abroad or because the Department of Defense could not complete their background check. We talked to someone who was a former senior Department of Defense person — official who said that the government essentially wants to fast-track these people and wants to take a quick path, not a correct path, and that, if they were given the additional time, they could do that. The Pentagon and Army aren't commenting because of a lawsuit that is pending. In the meantime, I traveled to Salina, Kansas, to report about another group of young immigrant recruits in limbo. John Candido proudly wears his Army T-shirt, a gift from military recruiters who hope he might one day join their ranks. I have always wanted to enlist in the military. It's just always been a dream. But his dream has been delayed for three years and counting. John is a so-called dreamer and a recipient of DACA. That's the Obama era effort to protect young undocumented immigrants brought to the country as children. That program is caught in political limbo. From 2014 to 2016, DACA recipients could earn a path to citizenship by enlisting in the military and completing basic training through a program called MAVNI. That stands for Military Accessions Vital to National Interest. But, by 2016, the military had identified security threats within the program. In response, they stopped accepting new recruits, and those already enlisted, like John, were subjected to increased, lengthy vetting. The result? He might be waiting indefinitely. My whole life is just limbo. And it's just kind of, you're on an island by yourself waiting, while the rest of the world is just going on. That's my big concern, is that we're throwing the baby out with the bathwater. Army veteran Todd Weiler oversaw troop recruitment for the Department of Defense during the Obama and Clinton administrations. There are some legitimate security concerns that need to be addressed, but to lump the DACA recipients in with folks from Iran or Iraq that you may have concerns about, it just doesn't make sense to me. MAVNI started under President George W. Bush as a way to recruit immigrants with much-needed foreign language or medical skills. In 2014, President Obama opened the program up to DACA recipients, promising them a path to citizenship. Do you think the country is now breaking a promise it made to you? Oh, absolutely. I know if I had a contract with the government and then I backed out, or I kept giving them infinite deadlines, that probably wouldn't go very well. You know, I swore in. I did the paperwork. I did everything. I signed on the dotted line. I held up my end of the deal. But the government's just like void. About 900 DACA recipients are currently serving in the military or have signed contracts to serve, according to the Pentagon. Immigration lawyers told the "NewsHour" around 300 are still waiting to ship off to basic training. Weiler fears that these men and women are now vulnerable. They came out of the shadows. They signed up for the military. If we're not going to honor that contract, then we need to figure out how we're going to separate with these folks, and in a way that doesn't flag them for deportation. Our military is very depleted, but it's rapidly getting better. And in a short period of time, it will be stronger than it has ever been. Another frustration for John? Reports of troop shortages across the military. They're like, oh, we're having crazy shortages for pilots, medics, and they're issuing out waivers, because more waivers where people have smoked marijuana before. They have criminal records. I'm like, I have none of those things. Can I please just enlist? John's family came to the United States from Brazil on a tourist visa when he was 8. That visa eventually expired, but his family never left. John, who is 28 now, only learned he was undocumented eight years ago, when he married his wife, Jordan (ph). You thought you were home your whole life. And then, like, somebody turned the light on, and you're not in your house. He had hoped that, by promising to serve, he could finally make up for being in the country illegally. The day he enlisted was emotional. I swore in. I cried there. I didn't even cry on my daughter's birth, which is bad, but, you know, it was rolling down my face. John, who currently installs phone lines, sees the military as a way to a better life. But Congressman Steve Russell, a Republican from Oklahoma and a retired Army lieutenant colonel, says military service shouldn't be used to resolve immigration problems. I don't have any issue with serving alongside immigrants. My goodness, if that were the case in the military, then I probably never could have served a day. But, nevertheless, we don't need to change what the good policies are to accommodate somebody's agenda or somebody's scenario. Russell thinks DACA recipients should have to become permanent residents prior to serving in the military. He supports a proposal by President Trump to create an eventual path to citizenship for dreamers, in exchange for funding a wall on the southern border and curbing other types of legal immigration. We see a lot of unfortunate stories with those in a DACA status. That is why I think we need to resolve it. I think President Trump, honestly, had probably the best deal laid on the table early on. John also backs the president. He blames Congress, not Mr. Trump, for his uncertain status. I honestly feel like Trump is doing his best, the administration is doing its best. He is desperate for a final decision, even if it means returning to Brazil. So, deportation is better than limbo for you? Yes. At least it's an answer. At least it's a no, instead of a maybe. I would prefer no deportation. I would prefer to enlist and go to basic and show how American I am. And, you know, I really want to be here. But it's just at least — at least it's an answer. For now, John Candido continues to wait, until a policy change from Washington or a go-ahead from the military decides his fate. For the "PBS NewsHour," I'm Yamiche Alcindor in Salina, Kansas.